It’s fun to try new things, and this one was found completely by accident. During a quick lunch on our first day in Dallas, my boss picked up a veggie tray that had some kind of white vegetable or fruit in it. It kind of tasted like an apple or a turnip, and had the consistency of an apple. We had no idea what it was but it was good. Yesterday, he comes up to me and says, “Jicama!” I knew exactly what he was talking about. His mom figured it out after he described it to her and he bought one in the grocery store this week just to confirm. I had to go to the grocery store last night so I bought one too. But first I Googled it because I was trying to spell it with an H and I had no idea what one looked like. And that’s when I came across a recipe for Jicama Fries. You slice them and sautee them in a bit of olive oil, and then add paprika and lemon juice. It was quite yummy. I’d probably add jicama to a salad for some crunch; some people use them in dips in place of water chestnuts. But it’s certainly not something I can see myself picking up every time I go to the grocery store. 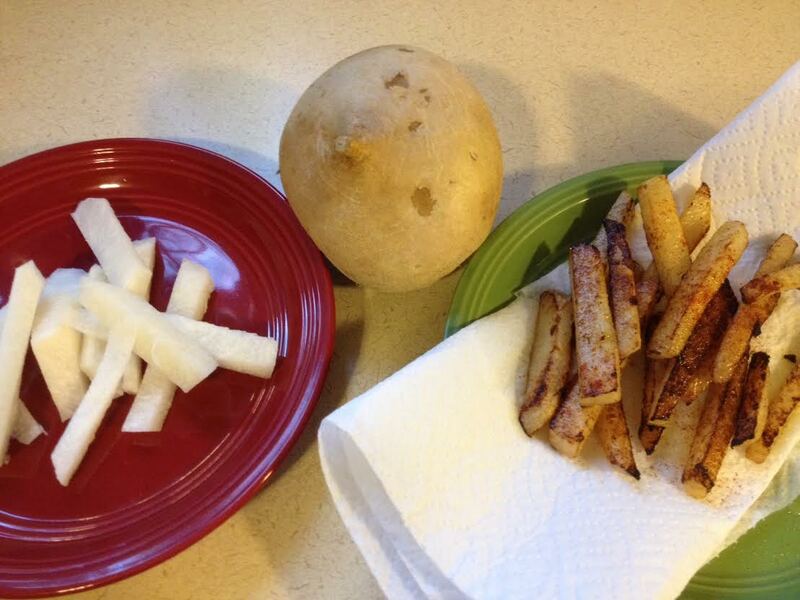 Have you ever tried jicama? If so, what did you think of it? Next National Poetry Month: I shall not live in vain.